Today’s theme is about cats I love very much. 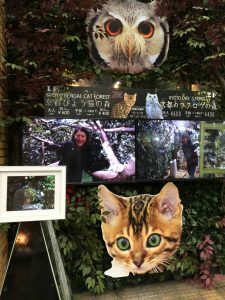 “Kyoto Hyo-neko no mori” (literally, woods of leopard cats) and “Kyoto Fukurou no mori” (literally, woods of owls), standing next to each other, opened this March at Shin-Kyogoku Street, Nakagyo-ku, Kyoto City, a shopping arcade in downtown of Kyoto. I have been waiting for this opportunity since I heard about these places from one of our guests, and finally visited there today. Admission fee is 600 Yen for 30 minutes. If you want to visit both places, the common admission fee will be 1100 Yen. 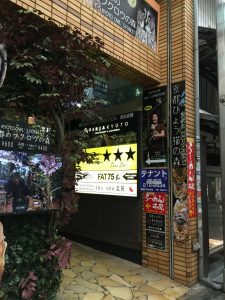 It seems no official website for the 2 facilities yet, so I cannot show you a good map, but you will find them at the right hand side if you walk a little on Shin-Kyogoku street from Shi-jo street. 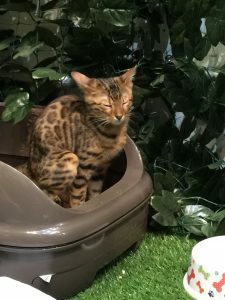 Hyo-neko, the Bengal cat is an expensive cat, can be sold for around 3000 dollars at pet shops, which is out of average people league, so this is an amazing experience for me. 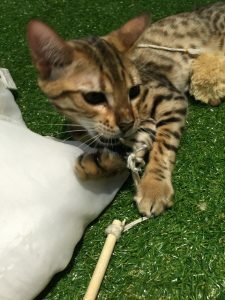 As they are young cats, they are so active, keep running around and jumping. The time I visited there was around half past 6 o’clock in the evening that was already after their napping, and their eyes are enough glowing and glaring ! 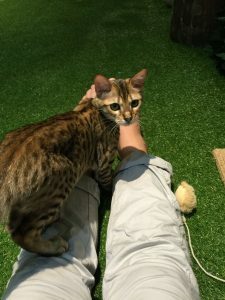 Holding a cat in your arms is not allowed in this facility, but no problem because they are so friendly that they came to me ,jumped on my knees and smelled about contents of my bag. 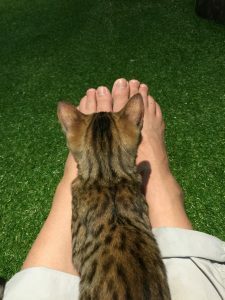 His (Her?) strained but relaxed look is also the cutest! In the next time, I hope I have enough time to try “Fukurou no mori” as well. 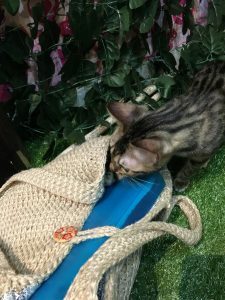 I believe cat lovers will not be able to resist this place when visiting Shin-Kyogoku street.